High blood pressure or hypertension is defined as a repeatedly elevated blood pressure exceeding 140 over 90 mmHg, a systolic pressure above 140 with a diastolic pressure above 90. Systolic pressure is the pressure as the heart beats, while diastolic pressure measures the pressure when the heart relaxes between beats. It is also known as the most common cardiovascular disease which means the heart and blood vessels are affected. Blood pressure is referred to as the force of blood pushing against artery walls as it circulates through the body. Blood pressure levels are dependent on each individual’s personal characteristics such as height and weight and their lifestyle. Certain activities such as sleep or exercise will cause significant changes in blood pressure levels. High blood pressure occurs when the force of blood passing through blood vessels is above the normal levels. The increase in pressure, forces the blood to hit the blood vessel walls, this poses a threat to healthy arteries. High blood pressure will lead to severe conditions such as heart disease and stroke; it is actually one of the major causes of heart attack. Pulse rate and blood pressure are some of the methods used to measure the body’s basic functions, although only the pulse rate is regarded as a “vital sign”. High pulse rate medically termed Tachycardia typically refers to a heart rate that exceeds the normal range for a resting heart rate that is heart rate in an inactive or sleeping individual. It is the number of times a heart will beat in a minute. As the heart forces blood through the arteries, the beats can be felt by firm pressure on the arteries located on the side of the lower neck, the inside of the elbow or at the wrist. This is known as taking the pulse. High blood pressure interferes with the activities of the pulse; elevated blood pressure will lead to a high pulse rate as the arteries resist the blood flow. Hypertension is classified as Essential hypertension and Secondary hypertension. Essential hypertension is more common accounting for 95% of hypertension. 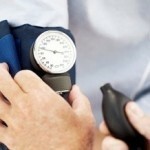 The cause of essential hypertension is attributed to several factors. In secondary hypertension, which is the remaining 5% of hypertension diagnoses, the high blood pressure is caused by a specific abnormality in one of the organs or blood vessels of the body. High salt intake, genetics, obesity and age are causes of essential hypertension whilst kidney disease may result in secondary hypertension as decreased blood supply (caused by narrowing of the renal artery) stimulates the kidney to produce the hormones, renin and angiotensin which along with aldosterone triggers high blood pressure. 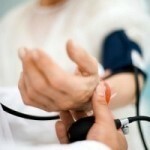 Hormonal imbalances from kidney failure may also contribute to high blood pressure. The narrowing of the aorta and tumors of the adrenal glands are also secondary hypertension factors. Tachycardia occurs when an abnormality in the heart produces rapid electrical signals. The causes of tachycardia includes physical exertion, emotion, nervousness, neurosis, high and low blood pressure, stimulating substances such as caffeine, heart disease and respiratory conditions.